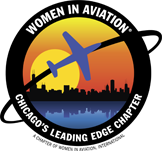 Women in Aviation, International is dedicated to the advancement and encouragement of women in the field of aviation. 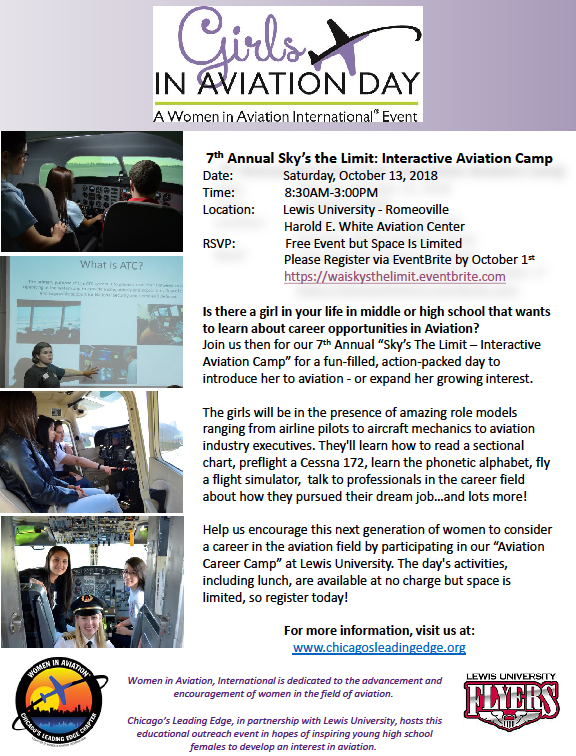 Chicago’s Leading Edge is hosting this educational outreach event in hopes of inspiring young high school females to develop an interest in aviation. This event is sponsored and supported by Lewis University. There is no cost to participants! 2018 participants can RSVP and register at https://waiskysthelimit.eventbrite.com. Please RSVP by October 1st, 2018. Chapter members, if you’d like to volunteer for the event, contact our Volunteer Coordinator at chicagosleadingedge@gmail.com.